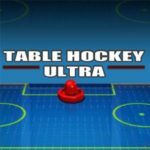 Sports Heads is back with another great game Sports Heads Ice Hockey! 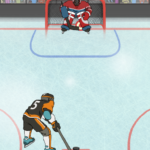 Choose a player and start playing some fun ice hockey matches. Move your player around and jump with arrow keys. 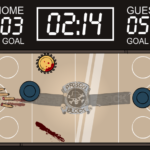 Press the space bar to swing your stick with and shoot the puck. 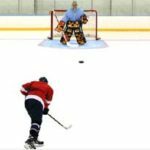 Shoot at the goal when you are ready and try to score as many points as you can. Also try to hit the power-ups with the puck to get a player bonus like extra speed, grow your player, icing of the opponent preventing movement or an increase in jump power, which makes the game even more fun to play! Only one of the sports heads can be the winner of this game. Read the instructions inside the game menu. Have fun playing ice hockey with these cool big headed sports dudes!